They explain why their work is interesting and worth doing to the public (who have probably funded at least part of it). They share their passions, inspire a greater interest in the world around us, and remind people just how magical reality can be. They provide context to public debates involving controversial issues, and help to debunk harmful pseudoscience. They show that science is relevant, fun, fascinating, and worth investing in. I believe scientists have a responsibility to communicate their science to the public if they have made use of any public funds. But more than that, I believe scientists can make a real difference when they share their passions (and improve their own work in the process). We can communicate science by giving talks to community groups or schools, writing blog posts about what we are doing or what others are doing, contribute op-eds or letters to the editor of popular media, or even just use social media to talk about cool science. 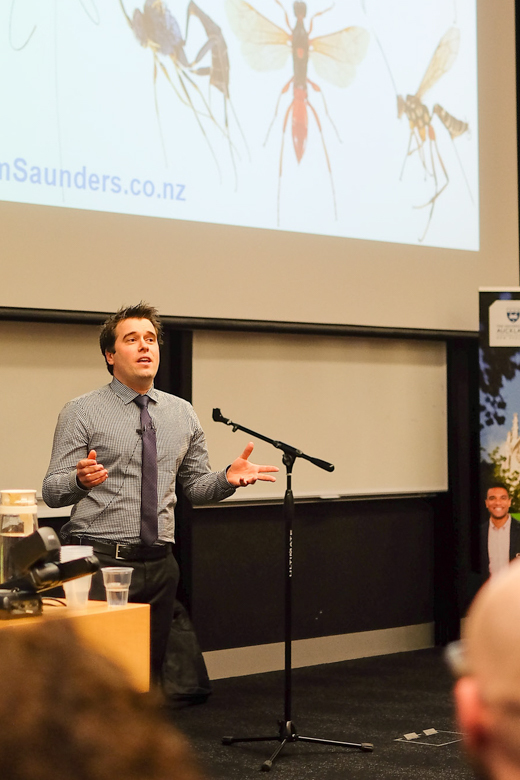 3 minute thesis is a great way to communicate science while practising public speaking. Open educational resources (OER) are freely accessible, openly licensed text, media, and other digital assets that are useful for teaching, learning, and assessing as well as for research purposes. The advantages for individual users and institutional adopters of open resources are obvious: open access to a rich variety of teaching aids straight from the scientists themselves; reduced costs; access to cutting edge discoveries; ability to incorporate unusual or lesser known fields and information into curricula; resources designed in a way to maximise interest and engagement from students. Just some of the many topics on offer at Science Learning Hub, a repository of open education resources managed by the Wilf Malcolm Institute of Educational Research at Te Kura Toi Tangata, Faculty of Education, The University of Waikato. I’m very interested in contributing open educational resources about New Zealand’s invertebrates. Our bugs are so interesting and unusual – They need to be shared with the world! Once I get some free time I’ll work with Science Learning Hub to get some cool entomology resources into our schools. What could be cooler than seeing your science being taught in schools?